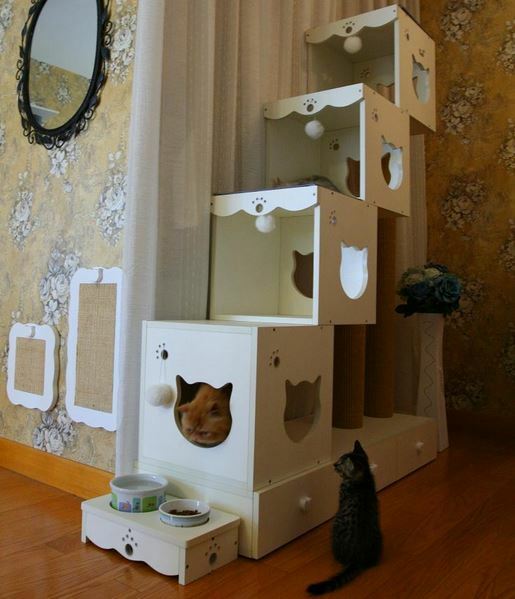 If you have a cat you know that they are curious, want to explore and play. 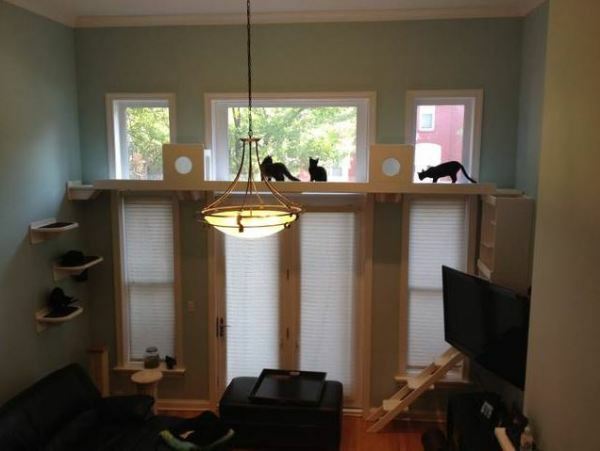 They especially like to climb to the furniture and make scratches which is impossible to fix. 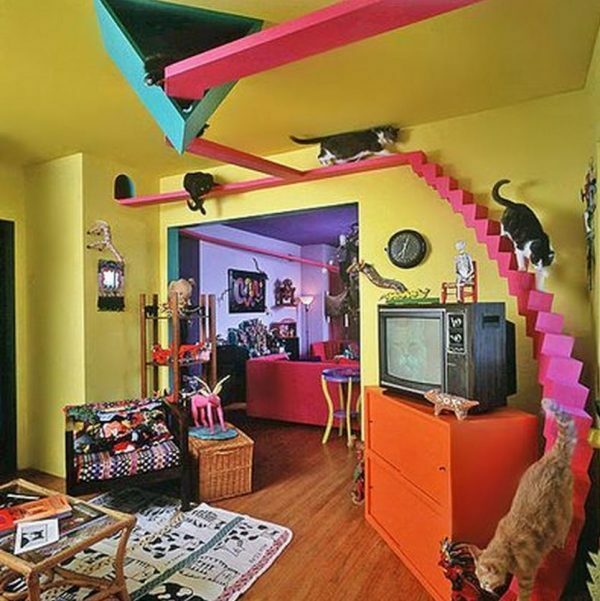 So the cat is a pet that deserve to have their own space in the house where they can fulfill their natural impulses. 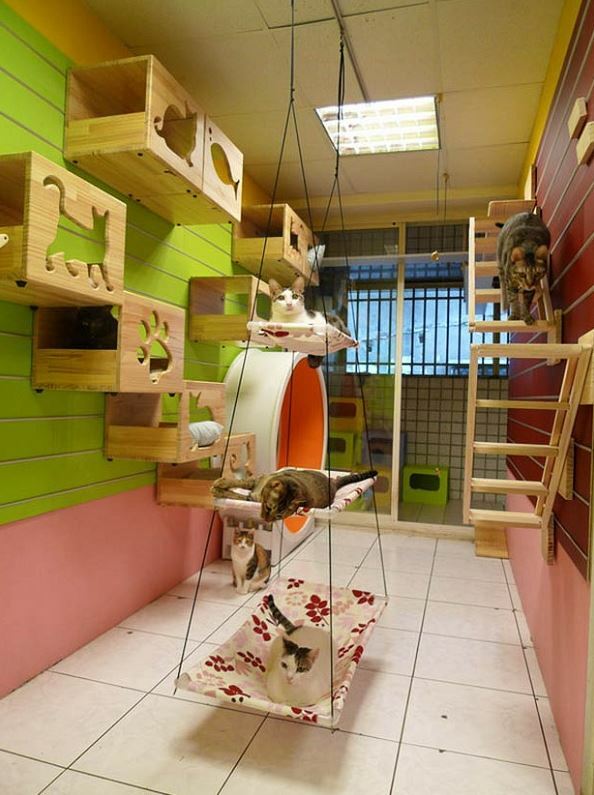 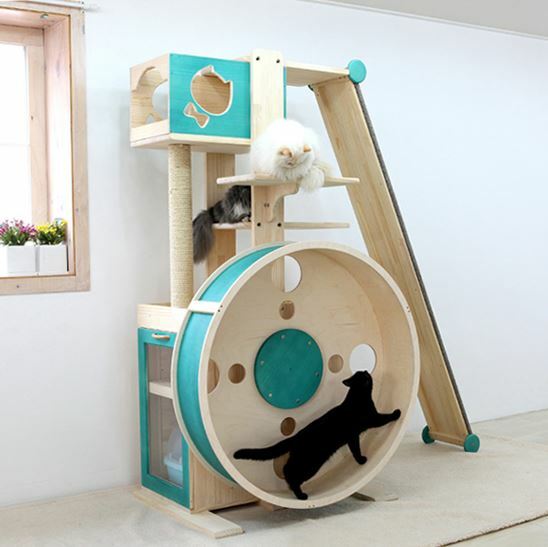 There are various types of modern cat furniture and playgrounds. 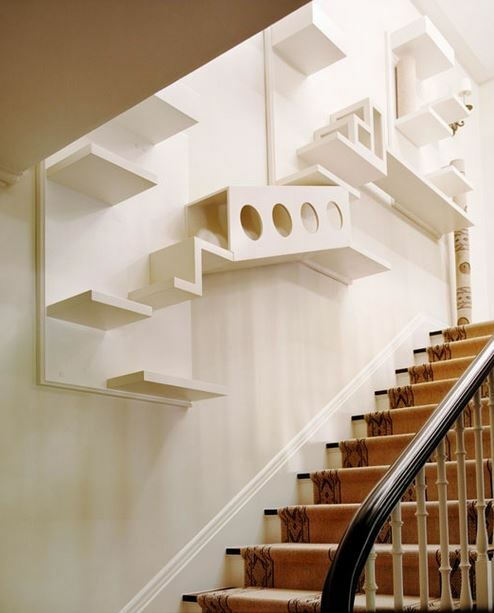 It is the best to buy ready-made elements which will distract attention from your furniture. 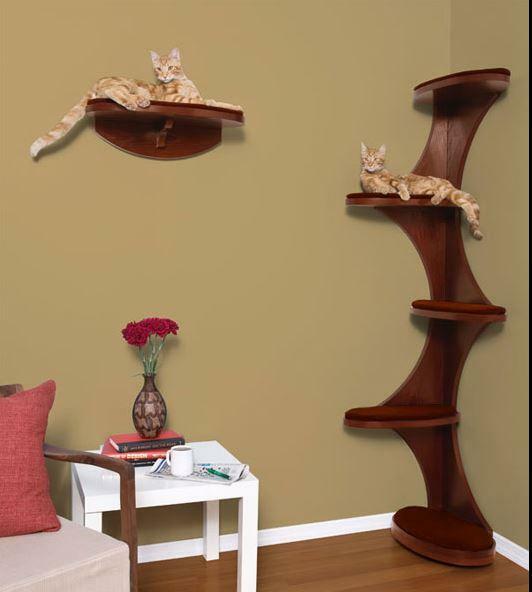 Because cats furniture is an integral part of the interior, during choice you should take attention furniture to fit with the general decor style of your home. 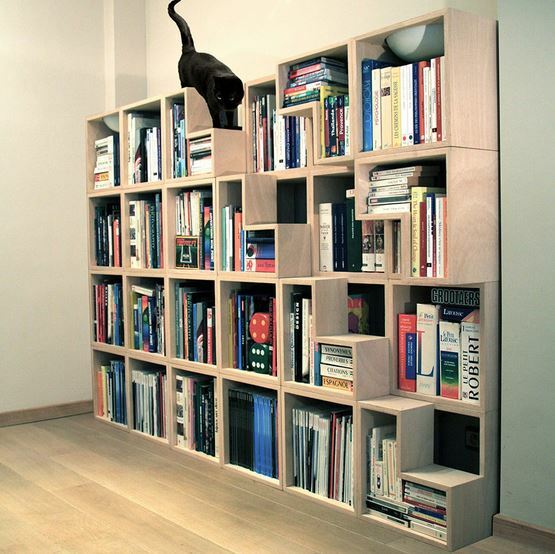 An excellent solution for small apartments is furniture which sets on the walls because it doesn’t take much space. 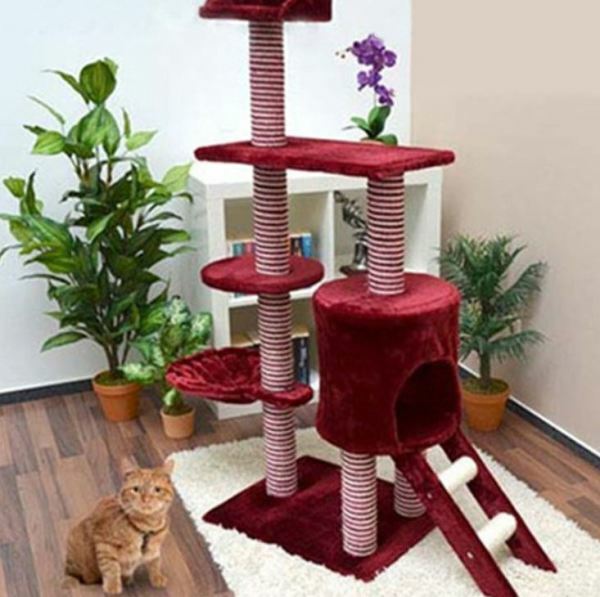 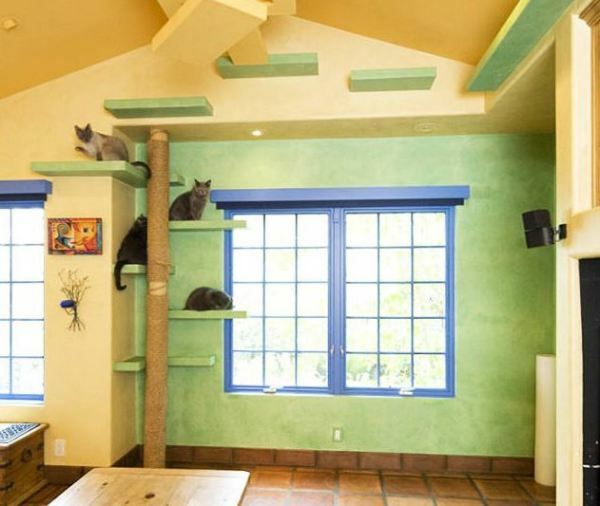 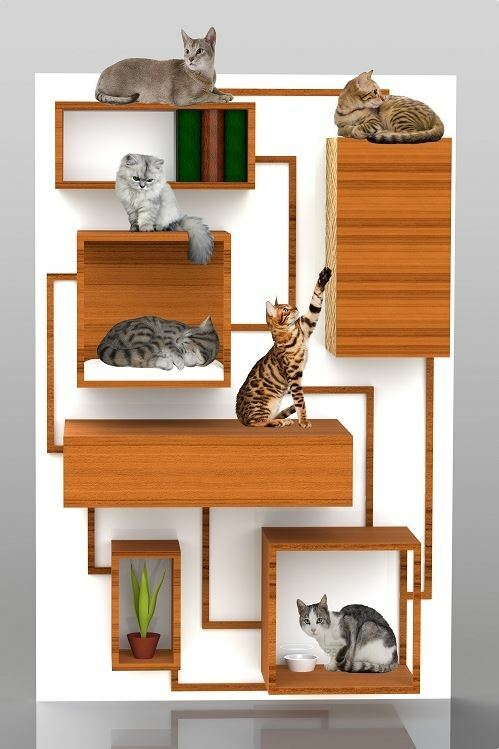 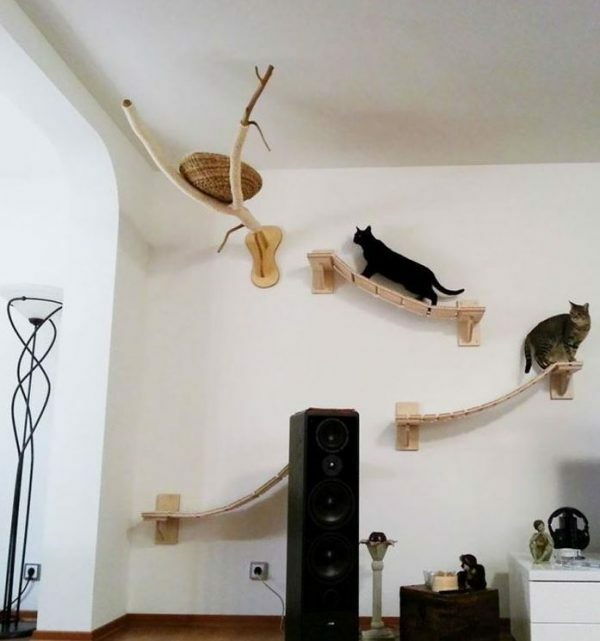 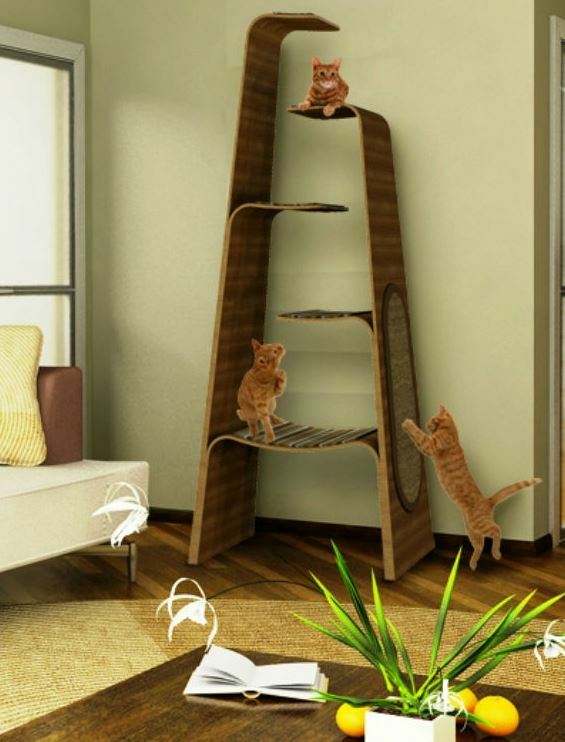 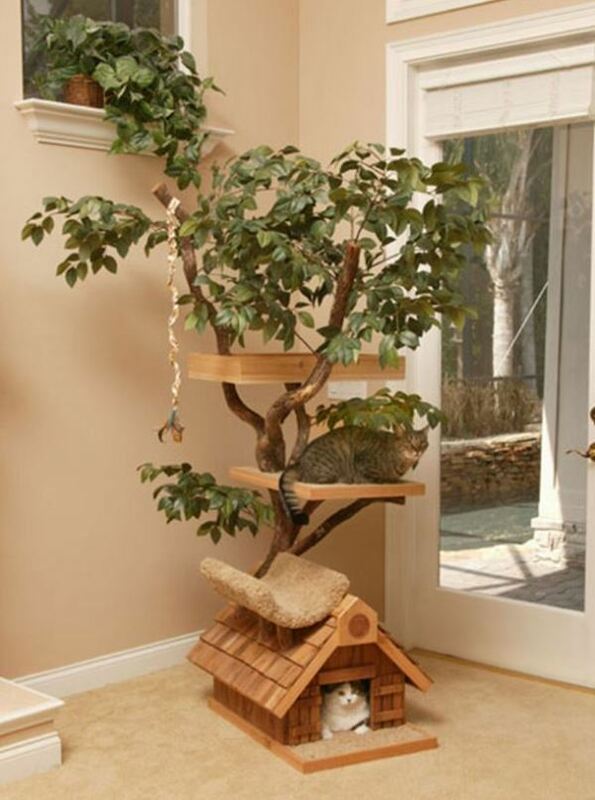 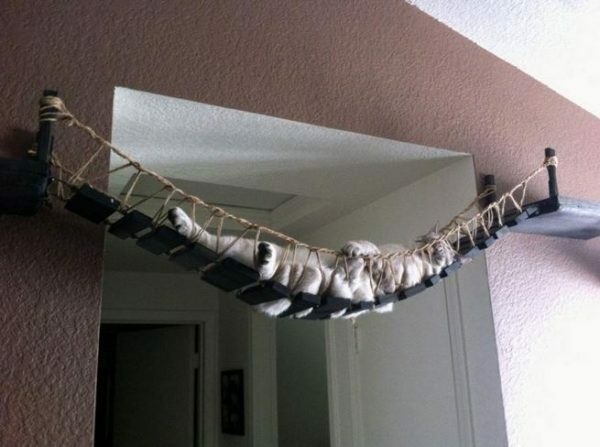 Furniture for climbing can be in different forms, bridges, stairs, branches .. so will enable various activities to the cats.